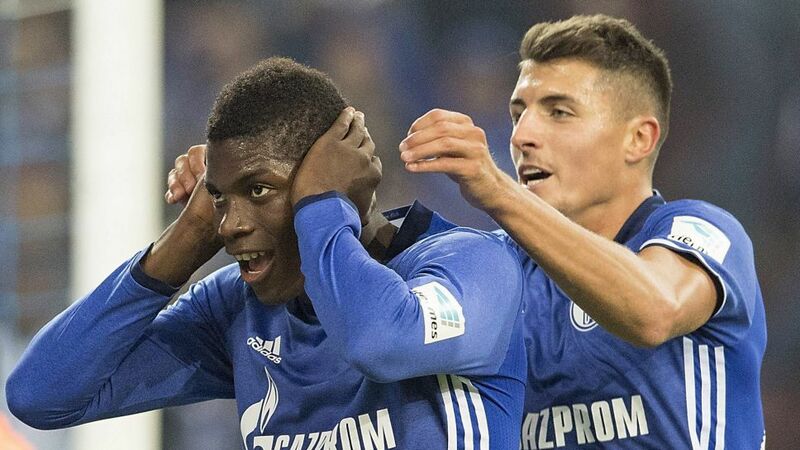 Schalke duo Breel Embolo and Alessandro Schöpf made their long-awaited returns from injury in a benefit match for fifth-tier Gütersloh on Friday. Swiss striker Embolo - back in the senior side following a ten-month spell on the sidelines with a broken ankle - scored twice at the Energieversum Stadium, while fit-again Austria international Schöpf came through the second half unscathed. Goals from Max Meyer (4), Coke (2) and Bastian Oczipka completed a 9-0 rout. "It was a really, really special day," said 20-year-old Embolo, a summer 2016 signing from FC Basel. "It's been a long time, but I'm feeling good. I think you can see that." Schöpf, who suffered an anterior cruciate knee injury at the end of April 2017, was no less enthused. "The hard work paid off. I'm no longer in any pain and I'm delighted to be back. It's up to the coach now, but I'm ready when called upon." With Embolo and Schöpf pushing for a fresh slice of the Bundesliga pie, Schalke return to domestic action on 10 September, when they play host to promoted Stuttgart. Quiz: How well do you know Schalke?